The Olympic artificial ice chute is the site of exhilarating bobsleigh, luge and skeleton world cup competitions and spectacular events. But laypersons too can experience the fascination of the ice track ‘up close and personal’ and enjoy an adrenaline-inducing ride down the track in a guest bobsleigh, competition bobsleigh or summer bobsleigh driven by a first-class pilot, followed by a well-earned chill-out session in the laid-back K14 café-restaurant (Bobcafé) – an out-of-the-ordinary yet perfect company incentive idea for all those who enjoy a bit of excitement. From bobsleigh, luge and skeleton world cup races to the ‘Wok World Cup’ with German television presenter Stefan Raab – every winter the ice track in Innsbruck-Igls is the setting for spectacular races and events. From the starting point for women’s races enjoy a ride down the ice chute in one of our original guest bobsleighs and experience first-hand the fascination of this exhilarating winter sport. 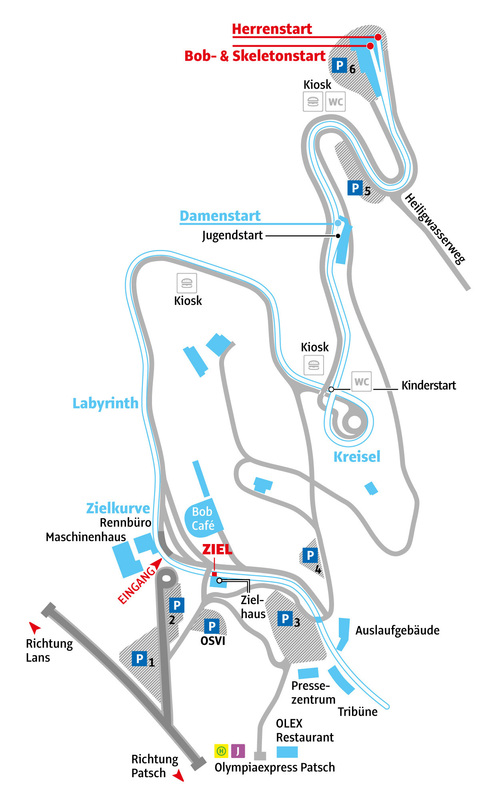 During the 800 metre ride down the ice track, which includes an elevation drop of 100 metres, you reach speeds of up to 90 km/h as you race around 10 bends and the 360-degree ‘Kreisel’ corner. To ensure that you arrive at the finish safe and sound, one of our professional bobsleigh pilots accompanies you all the way. Everyone over the age of 12 years and at least 1.30 metres tall can take part in a guest bobsleigh ride. With bobsleighs offering space for five guests and one pilot, this activity is ideally suited to larger groups too. Gift vouchers can be purchased from all oeticket ticket sales points or online for self-printing using print@home. Order vouchers now quickly and easily from the comfort of your own home. When you purchase a guest bobsleigh ticket, the following Instructions and Conditions apply and these must be signed and submitted before the ride. Emergency number, on guest bobsleigh days only, from 5 pm to 8 pm: T: +43 (512) 33838-275 oder +43 (512) 377160. Reservations are not required for guest bobsleigh rides. Meeting point on all guest bobsleigh dates is in the Cafe-Restaurant K14 (Bobcafe). Participants should be there 20 minutes before the official starting time. Individual dates and times can be arranged for groups of 25 and over. Experience a breathtaking ride at speeds of up to 115 km/h down the 1,270 metre-long ice track with an elevation drop of 124 metres, 14 bends and the 360-degree ‘Kreisel’ corner. Our original Olympic four-man bobsleighs (one pilot, one brakeman, two guests) take you from the starting point for men’s races all the way to the finish. Feel like an Olympic athlete and join in this adrenaline-inducing ride. To participate in the race bobsleigh ride you need to be at least 14 years old and 1.50 metres tall - and be a bit of a winter sport nut! Gift vouchers can be purchased from all oeticket ticket sales points or online for self-printing using print@home. Order vouchers now quickly and easily from the comfort of your own home. The following Instructions and Conditions apply and these must be signed and submitted before the ride. 33838-275 or +43 (512) 377160. Pre-booking is a MUST for race bobsleigh rides! Individual dates and times can be arranged for groups of 8 and over. Hurtle down the Olympic ice track in a bobsleigh driven by a professional pilot. Adrenaline rush guaranteed! As you round the 360-degree ‘Kreisel’ corner, your body is exposed to centrifugal forces of up to 2G. The bobsleigh can reach exhilarating speeds of up to 100 km/h along its 1,270 metres and 14 bends. Kids over the age of 12 or at least 1.30 metres tall can take part in the summer bobsleigh ride. Individual dates and times can be arranged for groups of 16 and over. Advanced booking is required! Call Knauseder Event Concept, +43 (5275) 51220. We’re also more than happy to organise a supporting programme tailored your group’s wishes to accompany your summer bobsleigh event. For further information visit www.knauseder-event.at. Please wear clothing suitable for the time of year, good sturdy footwear and take gloves with you. You will be provided with a helmet. Registration and payment take place in the finish house, where you’ll also receive your certificate after the ride. Not suitable for people with back problems or pregnant women. Olympic ice track finish house, Heiligwasserwiese 1, 6080 Igls. Transport up to the start is included but you can, if you prefer, walk up along the edge of the ice track and take a look at the bends awaiting you! If you plan to go up on foot please schedule an extra 20 minutes for the walk. Absolutely crazy! A madcap event that has attained cult status – a wok ride in Innsbruck-Igls. Originally made popular by the German TV presenter Stefan Raab, the Wok Race down the Olympic ice track in Innsbruck-Igls offers daredevils the perfect chance to boost their adrenaline levels as they hurtle down the 1,270 metres of ice on a four-man wok. The wok constructions used are the originals from Stefan Raab’s televised Wok World Championships that have been held no fewer than three times in Igls. If you’d like to get first-hand experience of the sports of bobsleigh or skeleton, you can book taster rides on the Olympic ice track. Special skeleton programmes are available for school groups and there’s even a student skeleton championship. For younger students we have special youth skeletons. A special bobsleigh school is open to young people aged 18 and over.  It is organised and run by the Austrian Bobsleigh and Skeleton Federation (ÖBSV) and the International Bobsleigh and Skeleton Federation (IBSF). The Olympic ice track offers ideal conditions for children and youths over the age of 8 to learn the sport of luge on artificial ice. Many local clubs and the Tyrolean Luge Association offer taster days giving kids a fantastic chance to try out the sport. Professional luge athletes, including Markus Prock and the Linger brothers, got into the sport of luge through just such an open day. The kids are taught by qualified trainers. Prerequisites for this sport are good physical condition, some courage at the beginning and a love of speed.